The world is a better place because it has chocolates. Delve into the nutty taste of this sinfully chocolaty c..
We kept this Classic simply unblemished, no twist, no turn, just as original as it can be - Soft, Mushy and Cr.. This Red Velvet Fruit cake with tender crumbs that slice like velvet will take you from amazing to irresistibl..
Say 'hello' to the Perfect mood lifters! Seductively creamy with an overloaded of chocolate - All-Ti..
Who can resist the Magical spell of Ferrero Rocher cake with a hint of hazelnut and the richness of Chocolate. Something Tres Belle for your favorite darling's farewell. Luck is best accompanied with great indulgence. How about you sweeten it? When it is a 'goodbye' moment, trade it with a drool-worthy magnificence. The rosy flower is blossoming & sweet frenzy is flowing in the air. Send sweetness to the beloved ones rig..
Make them relish love decked with most-appetizing missing moments. Here's to the good news, brushing away all the blues, li'l toddler has done it again! Mark the momen..
Arms open. A scrumptious delight on the table. A perfect way to let them know you miss them. Achieving goals need appreciation. Order an exclusive elegance full of blossoms for the progressing problem so.. Looking for an unique yet mouthwatering cake to celebrate your special occasions? This cake should be your pic.. Your daughter can't stop crushing over this pink delight enriched with luscious flavors and exotic ingred..
Based on 1841 reviews & Ratings. We are exactly what you are looking for. Yes, we are an FSSAI certified online cake and Bakery Company that specializes in delivering absolutely lip-smacking delicacies. Currently, we are delivering cakes in Gurgaon, Delhi, Noida, Ghaziabad, Bangalore and Hyderabad. We are here to create some unforgettable memories and some undying emotions. Our mission is to “deliver these heavenly cakes at your doorstep on time to make your celebrations even grander”. Because for us, it is not just a Cake but more and so we craft it with a blend of inspiration, passion, and love. We guarantee an extraordinary taste in your choicest flavors with ravishing designs. Sounds perfect, isn’t it? Why To Choose Bakingo For Online Cake Delivery? Now, having an ambrosial cake on birthdays, anniversaries or weddings is completely a hassle-free task with Bakingo. Earlier, you would have to go from one shop to another in search for a delectable cake to heighten the happiness of your special occasions. But now, with Bakingo’s online cake delivery, you can browse through a variety of best quality cakes and pick your favorite cake just sitting at your home. After you have selected your favorite cake from our varieties, order the cake online in a few clicks and relax because Bakingo ensure same day cake delivery. 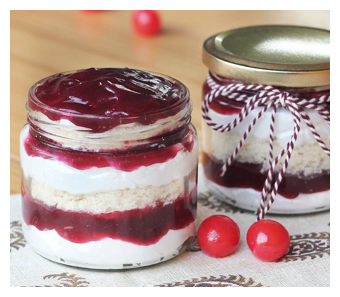 Yes, now gorge on your favorite delicacies and take your special occasions to new heights with Bakingo’s online cake delivery anywhere in Gurgaon, Delhi, Noida, and Ghaziabad. With our melt-in-mouth delicacies now you can also deliver your heartfelt wishes and affection to your loved ones on their special days. For instance, if you want to send a delicious cake to your lover on Valentine’s day on same day, then it’s possible through our online cake delivery. In fact, even if you live in another country and wants to send a delicious cake to India for your lovely mother on her birthday or Mother’s day, then you can completely count on Bakingo for timely delivery because understand your love and emotions towards your close ones. So, go ahead to celebrate your special occasions with finger-licking cakes from us. Bakingo’s online cake delivery offers you a huge range of cakes baked with utmost perfection and the finest quality of ingredients. Cakes available in our bakery are always fresh, soft, moist, mushy and fluffy in texture. We have flavorsome cakes to illuminate your every occasion. Be it a birthday, wedding, anniversary, Valentine's day, Mother's day or any other event, our cakes will never disappoint you. These hard-to-resist delicacies are available in a plethora of flavors like Red Velvet, Butterscotch, Strawberry, Chocolate, Vanilla, Blueberry, Pineapple, Kiwi, Coffee, Mango, Ferrero Rocher, Kit-kat, Oreo and many more. 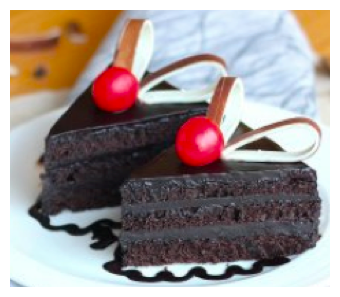 Since no one can say ‘No’ to chocolates, we have come up with a variety of chocolate cakes among which 'Double-Trouble', 'Alive by Chocolate' and Rocher Rejoice with just leave your mouth water. If you are a fruit lover, then you must try our extremely delicious Red Velvet fruit cake enriched with fruits and adorned with whipped cream. So, if there is a huge celebration waiting up next in your calendar, order a cake online from us and brighten up your celebration with our irresistible yummylicious treats.